On November 12 and 13, the council held a public debate to discuss what should be done with the area at Lansdowne Park. Guest speakers included CFL Commissioner Mark Cohon and former Rough Riders Jock Climie and Mark Kosmos, who presented their case as to why the Lansdowne Live group was an important contributor to the city of Ottawa. The following Monday, November 16, it was reported that the council had voted 15–9 in favor of plans to redevelop Lansdowne Park to house a CFL team. The ownership group was given until June 2010 to sort out the details of the redevelopment, with construction set to begin in the spring of 2011. On June 28, 2010, after a twelve-hour meeting, the city council approved the plan to redevelop Lansdowne Park by the same 15–9 vote, all but securing a franchise in the nation’s capital. With construction on the stadium scheduled to begin in 2011, the earliest the team would have been able to play was the 2013 under the original timeline. However, a failed legal challenge and an Ontario Municipal Board hearing on the Lansdowne Park redevelopment project delayed the start of construction until 2013, with completion targeted for the summer of 2015, although there were indications that the stadium could be opened for football as early as 2014. Without a viable stadium, the debut of the team was necessarily pushed back accordingly. On October 10, 2012, the new franchise cleared its final political hurdle with a 21–3 vote by the city council in favor of Lansdowne. Construction on the north and south side stands was set to begin in October 2012. The 104th Grey Cup (branded as the 104th Grey Cup presented by Shaw for sponsorship reasons) was a Canadian football game that was played on November 27, 2016, between the Calgary Stampeders and the Ottawa Redblacks, that decided the champion for the 2016 CFL season. 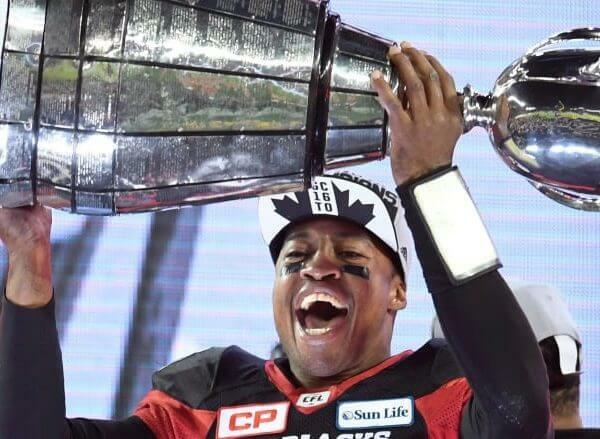 In an upset, Ottawa defeated the heavily favored Stampeders 39–33 in overtime to win a championship in just their third season of existence. This was the third Grey Cup game to go into overtime (the other two instances came in 1961 and 2005). This also marked a first that a CFL team won its division with a losing record (8-9-1) and became the 3rd worst team (behind the 2000 BC Lions and 2001 Calgary Stampeders who both went 8-10) to win the Grey Cup. The Redblacks ended a 40-year championship drought for the city of Ottawa that spanned three CFL franchises and 27 football seasons of play. The Redblacks became the fourth-fastest expansion team to win a championship in an established North American professional sports league, after the 1950 Cleveland Browns (who won a championship in their first season in the National Football League), the 1927–28 New York Rangers (who won the Stanley Cup in their second National Hockey League season) and the 1995 Baltimore Stallions (who, as part of the CFL’s mid-1990’s U.S. expansion, won the Grey Cup in their second and final CFL season); they are tied with the 1970-71 Milwaukee Bucks (winners of the National Basketball Association title in their third season). The Ottawa Redblacks are a professional Canadian football team based in Ottawa, Ontario. The team plays in the East Division of the Canadian Football League. Redblacks - A new franchise, who began play in 2014, had the name RedBlacks announced June 8th, 2013, an homage to the traditional Ottawa colors and lumbermen of the region. While the CFL acquired the rights to the name Rough Riders, it could not be used. The logo maintains the R, though now updated and stylized, that served the Rough Riders for decades while adding a circular saw blade in tribute to the lumber mill history of the area. Red and black plaid has also been adopted as a team pattern for merchandise and mascots. 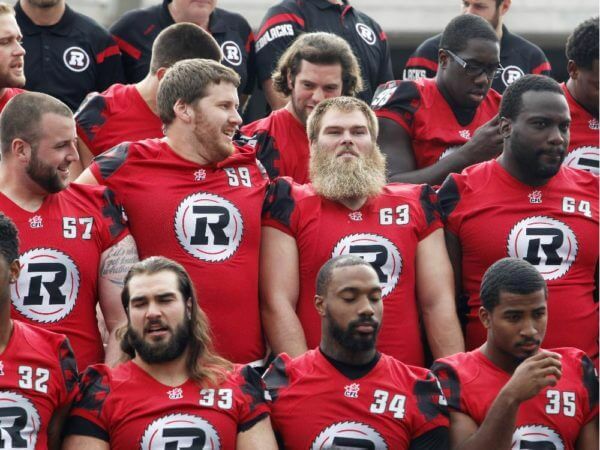 Who is the greatest Ottawa Redblacks?